Supplying second-hand furniture, white goods, and household items at reasonable prices to the general public, and to those on income based benefits at a discount. We can collect your furniture items, small or bulky, for FREE. 1. Check our rules and requirements for furniture donations. 2. E-mail info@tclreuse.org.uk with a photo of the items you wish to donate. 3. 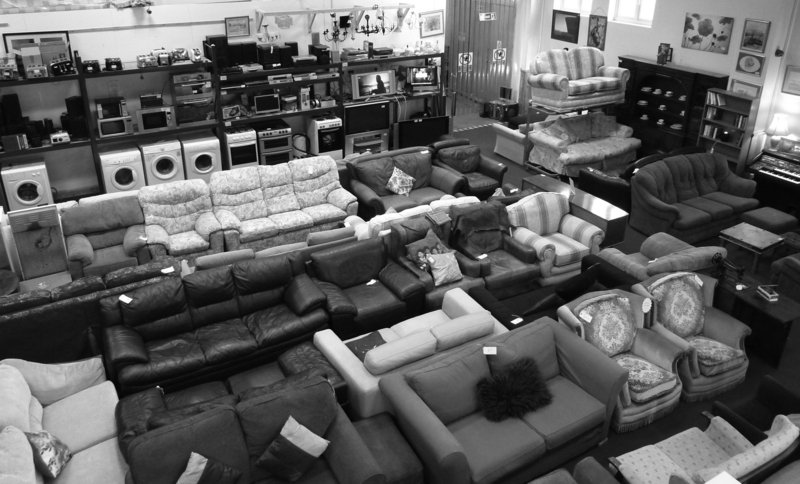 Call 020 8553 5880 to arrange a FREE collection, or, drop off your furniture at any one of our two stores. We have a large selection of very good quality second-hand furniture, white goods and household items. 1. Click here to see what kind of things we have available. 2. Visit us at one of our two stores in Ilford or Collier Row. 3. Check if we deliver in your area. Let’s help each other and make sure reusable items don’t go to landfill and use them to help those in need. We reuse good quality second-hand furniture, white goods, computers and household items. Donate or buy and help us to help others. We are a charity recycling good quality furniture and white goods to support Teen Challenge London, an outreach & rehabilitation centre. Thanks for supporting us. © 2019 TCL Reuse Centre.